These words conjure enigmatic images of the Old West. The hotels and saloons that still stand embody a silent testimony to their fabled past; a time when prospectors came to gamble hoping to find their fortune, some lost that fortune, some went to their grave without ever revealing the location of a rich and elusive mine. Their tales continue to fascinate, intrigue and even haunt us today . 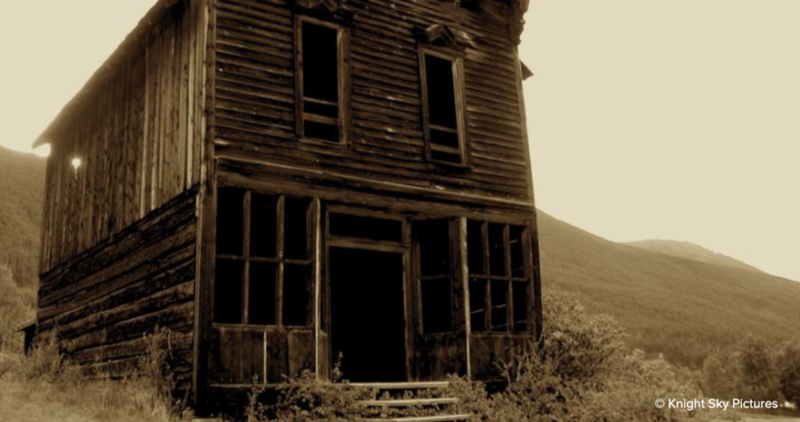 . .
Presenter: Writer-Director Ethan Knightchilde has been exploring and researching Old West ghost towns since 2002. His Documentary Award-Winning film Ghosts of the West: The End of the Bonanza Trail sold out movie theaters from Phoenix to Fort Collins between 2012 and 2014; and he is currently at work on the next installment of the series.